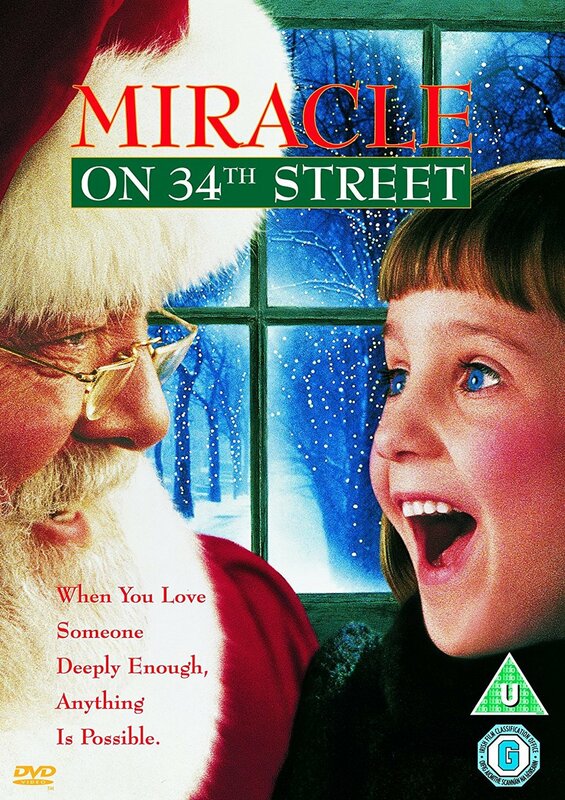 Two nights ago I introduced my niece and nephews to my favourite Christmas movie of all time, Miracle on 34th Street. Emmy, Patrick and Mitchell loved the magic of the story just as much as I did. As a child I loved this movie because Santa seemed like such a beautiful, kind hearted man that was easy to believe. As an adult (about 18, the last time before a couple of days ago that I had seen this film), I love the movie because there is a cute, patient love story and a super cute mini actress in Mara Wilson, plus the ending is the cutest. As a 30 something year old I now view this movie with different eyes and love it even more. Miracle on 34th Street is a story about a little girl who believes in Santa Claus while some adults don't, mainly Susan's mum. Santa is criticised, often described as 'fake, ridiculous, something not worth believing in because it let's you down'. In my very adult opinion, I believe many people have this exact attitude towards the positive mindset, 'being positive is ridiculous, something not worth believing in because you can't be positive 365 days a year'. As a girl boss with a positive mindset I decided to write a letter to Santa Claus this year, you know why....because I AM SANTA CLAUS. I provide the gifts I want to receive in my life when I possess the right attitude. I can choose to not believe in being happy, I can choose to not believe that I cannot have the body, the mind, the relationships, the house, the love, the life that I want and I will get it. Conversely I can believe that I CAN have these things and I WILL GET IT. So you see Santa Claus is very much real. Writing to Santa Claus isn't a waste of time. Writing to Santa Claus is highlighting to ourselves what we want in our life and if we don't do it any other time of year its important to do it at Christmas. It is OK to want, it is ok to ask for what matters to us the most. It is ok to write it down in black and white, it isn't being greedy, it is putting it out in the universe asking for it to be manifested. Its not different than asking God to deliver promises and prayers to us. Its no different than writing down goals for ourselves expecting that we will achieve them. We need not fear a Santa Claus we do not understand. We need not fear getting old and we need not stop a 'childish' tradition like writing to Santa Claus. Being childlike is one of the greatest gifts we can give ourselves, to play, to laugh, to giggle, to believe 'the impossible', it is only then do we realise that the impossible IS really possible when we will it to happen. To the adults reading this, I implore you....write your Christmas wish list to Santa Claus, you may just find that you create the possibility for your wish list to come true all by yourself. So wish a little and ask Santa for something special this Christmas.